Another red-letter day in the life of George Bailey. Please tell us you’ve seen this movie. And if you haven’t – excuse us while we gasp and clutch our pearls in horror – may we ask: what is wrong with you? 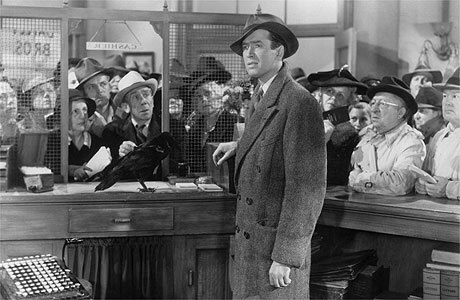 You’ve know the basic storyline: George Bailey (James Stewart), owner of a small-town Building & Loan, finds himself in a no-win situation and contemplates suicide. But his guardian angel appears in the nick of time and shows him what his life would be like if he’d never been born. Now, maybe you haven’t seen this movie because you think this premise is too syrupy. Not so! Stewart’s portrayal of a desperate man caught in a hopeless situation is wrenching. In fact, the reason why this movie was not a hit when it was first released was that a war-weary America thought it was too gritty. Perhaps you think the movie might be too boring. While the film does cover a considerable span of time in one man’s life, the blend of drama and humour gives us a full picture of the main character. You can’t help but like George Bailey and, by the end of the movie, you’re practically on your feet cheering for him. It may be that you think that this movie is “not for me”. Fair enough, but let us say that when we saw this movie at a packed theatre last year, there wasn’t a dry eye in the house. Can you believe the audience clapped – clapped! – at the film’s conclusion? Go. Go now and watch it immediately. You know there’ll be at least 37 channels showing it right at this minute. 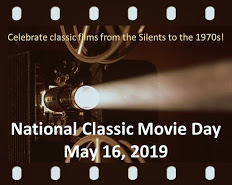 Starring James Stewart, Donna Reed and the great Lionel Barrymore. Written by Frances Goodrich, Albert Hackett and Frank Capra. Directed by Frank Capra. RKO Radio Pictures, 1946, 132 mins. Hi Fitness Tips! Of course – feel free to do so. We’ve been out of town for a while, which is why we haven’t responded sooner. A pity, but I debate with this unique post. I do get pleasure from your personal blog page though and will keep on moving once again for updates. This is my all time favorite Jimmy Stewart movie! I loved Mister Smith Goes to Washington but I have to say this one tops them all. Donna Reed shines. Lionel Barrymore reminds me of Alfred Hitchcock.